A video should be visible here. If you are seeing this text, your browser does not support this. A description of the video is available for those unable to see and/or hear it. 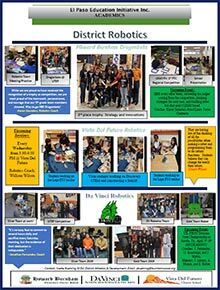 District Robotics remains one of Burnham Wood Charter Schools’ biggest assets! This year, teams across the district have superbly represented our program in multiple competitions, with great success! 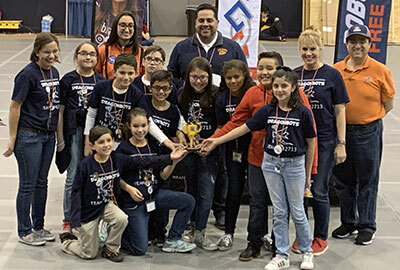 As trophy winners at UTEP competitions, both the Da Vinci School for Science and the Arts and Howard Burnham Elementary teams have continued to expect success and nothing less! Although Vista Del Futuro Robotics is in its inaugural year, Coach Wilson and his students have hit the ground running with weekly meeting/building sessions learning through hands on activities and high expectations. The superintendent, Dr. G., the school board, school administration, coaches, mentors and parents have worked together towards program effectiveness. Quality resources and tools have been provided and are being utilized across the district to maximize the potential of all students! Please enjoy the District Robotics Highlight Page. Dragon Basketball Tourney Is a Success! The weekend of January 31st saw our School District host it’s very first Basketball Tournament. The three-day Da Vinci Dragon Middle School Basketball Tournament saw seven participating schools and hundreds of fans filing through our gym doors! The event that also brought awareness to Cancer Prevention, was a huge success! All participating schools expressed their gratitude for a very well organized and most hospitable effort. Thanks, go to all District personnel and families that contributed to the tournament’s success! Please enjoy the Dragon Basketball Tourney Highlight Page. Hello friends, associates, and colleagues. My goal throughout nearly 60 years in education has never changed. Whether serving a district as superintendent, athletic director, principal, teacher or coach, that goal is to grow young leaders. I recognized the essential nature of extracurricular activities in the academic success of students. In addition, the 21st century global market is asking that tomorrow’s leaders exemplify skills fostered in team sports, including collaboration, communication, responsibility, and flexibility. Towards preparing our students for post-secondary success, our school district will present every opportunity to foster these skills, inside, as well as outside of the classroom. 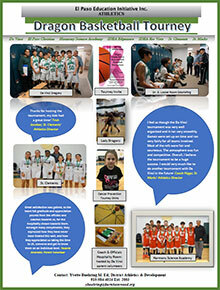 The monthly newsletter is intended to share with you, the efforts of our young scholar/athletes and their coaches. 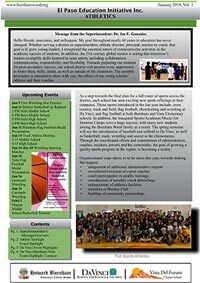 Read the district athletic newsletter. Vista Del Futuro named a National Blue Ribbon School! U.S. Secretary of Education, John B. King, Jr., announced today that Vista del Futuro Charter School has been named a 2016 National Blue Ribbon School. Vista del Futuro Charter School is one among 279 public and 50 private schools receiving this honor. Schools are nominated for the award by the state department of education, and then complete a comprehensive application about school practices. Schools may apply for status as Exemplary High Performing—among the top schools in a state—or Exemplary Achievement Gap Closing—schools making the fastest progress in the their state in closing achievement gaps among student subgroups. Iris B. Burnham, Board President, Nydia Magdaleno Gonzalez, Superintendent, and Yvonne Whitman, Principal of Vista del Futuro represented the Vista del Futuro teachers, students, and parents at a two-day awards ceremony in Washington, D.C., to celebrate their hard-won achievements. See the complete press release. 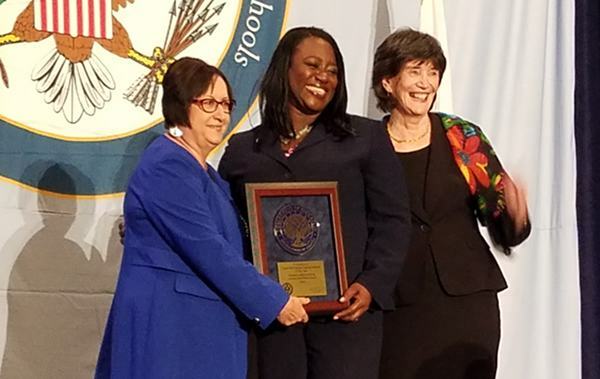 Mrs. Iris Burnham (Superintendent Emeritus), Aba Kumi (Director of the National Blue Ribbon Schools Program), and Ms. Yvonne Whitman (Principal Vista Del Futuro Charter School) accepting the National Blue Ribbon Award. Vista Del Futuro is one of 279 schools in the nation to receive this award. Only 2% of all national schools receive this award. It is the only school in El Paso this year that received this award. Click the image to enlarge. TEA searched for schools in the state of Texas that exemplify critical areas in academic performance, teacher quality, school climate, and leadership effectiveness. Vista del Futuro Elementary in El Paso’s far east-side met all the criteria and more to become recognized as a state and federal reward school in the previous two years. Vista del Futuro Elementary belongs to Vista del Futuro Charter School District, both Vista del Futuro District and Burnham Wood Charter School District are part of the El Paso Education Initiative. 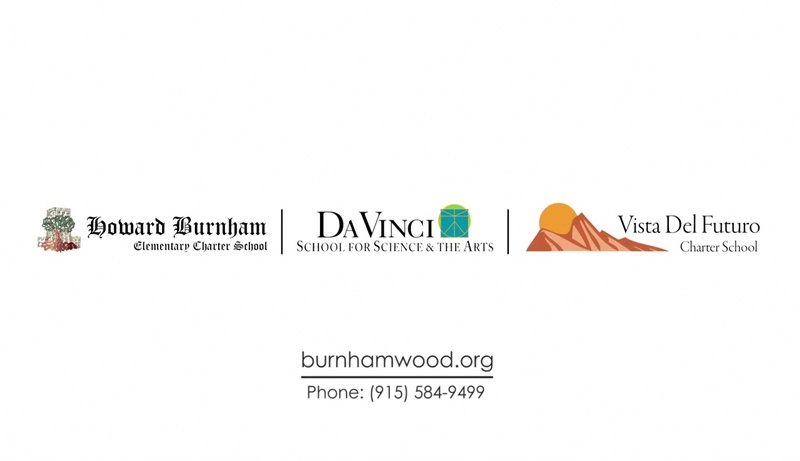 Burnham Wood Charter School District and Vista del Futuro Charter School District foster a student-centered approach to learning through hands-on teaching and thematic cross-curricular learning. Every teacher is given quality training before during and after the school year to help differentiate the learning environment for every child. If you would like to visit one of our schools to learn more about the quality of education in our Charter Schools, please feel free to contact the front offices for a tour. See the press release on TEA’s website. MISSION Our mission is to work in solid partnership with the family and community in order to prepare children to accept responsibility for their own learning. We offer students a framework that encourages lifelong learning through skills building, creativity, a sense of self-worth, and ethical values necessary to survive and grow in an ever-changing, diverse, global, society. Please join us for a parent meeting headed by Dr. Gonzales and the Da Vinci administration on Tuesday, February 26 from 6:00-7:30 P.M. We will be addressing enrollment, academic and extra-curricular programs for next year. After the presentation in the auditorium, parents will be able to visit with their child’s teachers. The latest edition of Dragon Digest is available. We as a school wanted to create a publication to send out to our parents, students and staff to inform our Da Vinci family about upcoming events, share exciting news, or simply spread Da Vinci School Spirit. 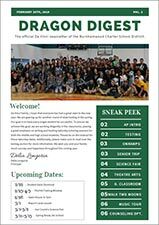 In this issue, read about upcoming events, STAAR testing, OnRamps, the senior trip, registration, and more. View the February 26, 2019 edition. 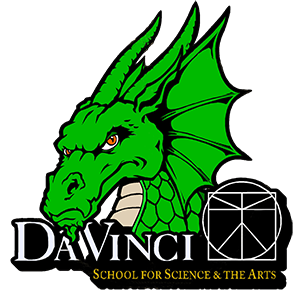 We as a school wanted to create a publication to send out to our parents, students and staff to inform our Da Vinci family about upcoming events, share exciting news, or simply spread Da Vinci School Spirit. In this issue, read about upcoming events, OnRamps and Dual Credit, robotics, athletics, orchestra, and more. View the November 9, 2018 edition, o ver la edición de 9 de noviembre de 2018 en español. 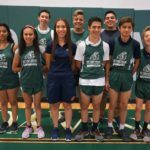 Tryouts for Dragons High School girls and boys basketball are coming up, so get ready — interested students in grades 9-12 should have a physical completed before the tryout dates. Girls basketball tryouts will be on October 29 and 30 from 4:15-6:00 P.M. in the DV gym. Boys basketball tryouts will be on November 1 and 2 from 4:15-5:45 P.M. in the DV gym. For more information, see the coaches: Coach Montes or Coach Lopez for girls basketball, and Coach Dominguez for boys basketball. Report cards for the first six-week grading period were sent home September 28, 2018 with all Da Vinci students. Please check with your child and review the report card with your son or daughter. To make sure your child is ready for the science fair, on February 21-22, 2019, we have a planning guide that will walk you through everything from picking a topic up to presenting. Howard Burnham Elementary Student is a Hero! One 4th grade student’s quick thinking and calm reaction resulted in her father receiving the emergency care he needed. Mireyda Samper, a student in 4A, immediately knew that her father was having a seizure this week. “I recognized that it was a seizure because I saw my dad have one before,” she stated when recalling what happened. Continue reading Howard Burnham Elementary Student is a Hero! Parents and students are invited to the Parent Orientation Day on Saturday, August 19, 2017. The schedule for Parent Orientation Day will let you know when to arrive based on your child’s grade. See the School Board page for more.